Audrey Leota Jeck, 91, of Omaha, Nebraska passed away on January 12, 2019 at an assisted living facility in Gretna, Nebraska. Audrey attended Nebraska School for the Deaf and graduated in 1948. She married to Donald Jeck on October 10, 1959. She worked as a seamstress making gowns at Willise Gowns and Caps Co., Omaha for many years until her retirement. She devoted her time with her husband and their home. Preceded in death by parents, Loton and Ruth Fink; husband Donald P. Jeck; brother Richard Fink; and sisters, Allie Mae Carpenter, and Betty J. VonBonn. Survived by brother, Keith (Mardell) Fink of Blair, NE; sister-in-law Colleen Jeck of Omaha; and many nieces, nephews, family, and friends. Visitation: Tuesday after 5pm, with Vigil Service at 6:30pm, all at the Funeral Home. Mass of Christian Burial: Wednesday 11am at St Bernadette Catholic Church (7600 So. 42nd St.). Interment in St John Cemetery. Memorials requested to the Omaha Association for the Deaf. 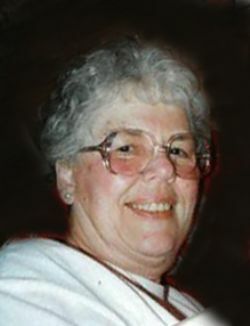 Korisko Larkin Staskiewicz Funeral Home (5108 "F" St. 402-731-1234) handles her funeral arrangements. Thanks to Korisko Larkin Staskiewicz Funeral Home, Omaha, NE, and Leo and Jean Luedtke for the information.